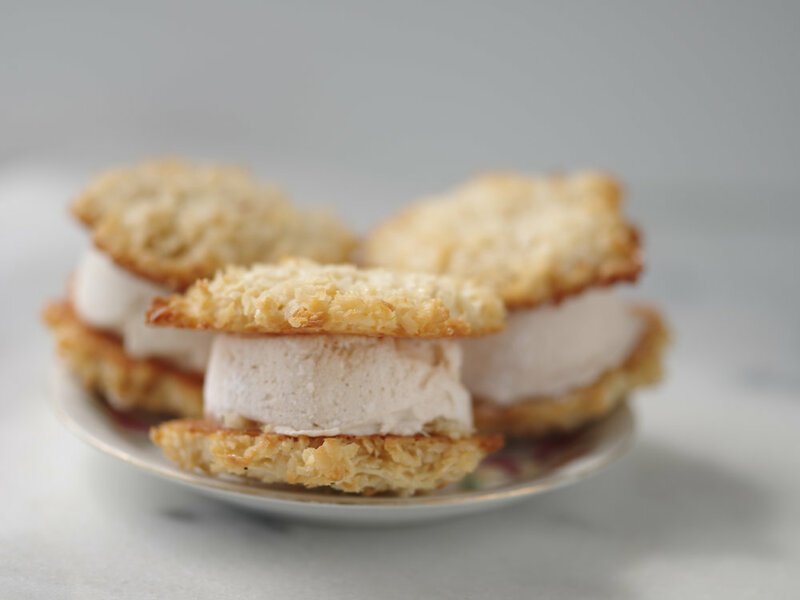 Sweet Dames Artisan Confections, a specialty food boutique company creates gluten-free, handmade, Gourmet Coconut Macaroons and CocoMallow Sandwiches. Inspired by Caribbean flavors we’re set to modernize the conventional cookie with exciting varieties like Ginger, Dark & Stormy, Raspberry Pistachio, and Garam Masala. The CocoMallow Sandwiches combine homemade marshmallow in between coconut macaroons. Made with premium unsweetened coconut flakes, decadent and full of texture and flavor, we believe it takes keenness and creativity to elevate the simplicity of a coconut macaroon and marshmallow. Not only are our cookies the perfect snack or hostess gift, but Sweet Dames can brighten your celebrations! We can create unique favors and gifts to sweeten up any event or holiday with our gourmet cookies in customizable packaging.